Bill takes great pride in applying his broad market knowledge for his clients' benefit. His contacts, development expertise, and familiarity with Deer Valley's and Park City's premier properties have made him a frequent participant in the town's highest priced sales. As a long-term owner of properties in Deer Valley and Park City, he can share unique insights on various neighborhoods and homeowners' associations. Bill has worked with developers in the planning and marketing of highly successful projects including Alta Vista, BelleArbor, Bellemont, Belleterre, Bellevue and The Colony at White Pine Canyon. A Connecticut transplant, Bill received his bachelors and master’s degrees from the University of Utah. As Park City Planning Director for nearly seven years, Bill was credited with helping Park City maintain a high quality of private and public development. He directed projects that won awards from the American Institute of Architects, American Planning Association and the National Trust for Historic Preservation. He coordinated the early development of the Deer Valley Resort, major expansion of the Park City Ski Area base, and initiation of design guidelines for the historic district. Since receiving the "Rookie of the Year Award" from the Park City Board of Realtors, he has consistently ranked as a top producing agent. Bill was recognized for four years among the top twenty associates in Prudential’s 60,000 agent international network and for seven years as Prudential Utah Real Estate’s top producing associate. He earned lifetime membership in the Park City and Salt Lake City Million Dollar Clubs, and has been awarded the GRI and CRS designations. He is one of the few Realtors nationwide to have earned full membership in the American Institute of Certified Planners. He was honored by his peers as "Realtor of the Year." Bill and his wife, Cyndi Sharp, enjoy powder skiing, cycling and hiking on the local trails. Their two sons grew up in Park City experiencing all of the town’s great family programs. Both are enthusiastic skiers and return to Park City with their families as often as they can. Bill serves on the Executive Council of the Utah Symphony and Opera's Deer Valley Music Festival. He is also a past trustee of the Park City Winter Sports School, a fully accredited private high school for elite athletes. Bill has been active in the Sister City Exchange with the French ski resort of Courchevel. 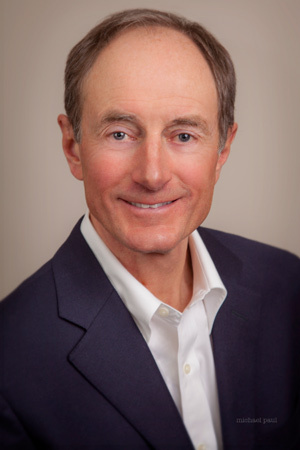 Additionally, he has served on the boards of the Utah Heritage Foundation, Park City Historical Society, Park City Ski Education Foundation, and local homeowners' associations.